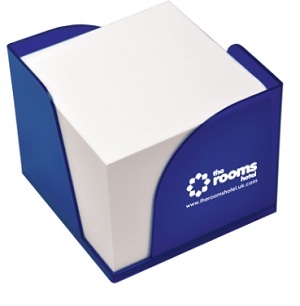 Corner Memo Holder - Express Corporate - Promotional Products - Delivered Fast! Plastic paper block holder with two open corners. Contains approx 800 loose sheets of plain white 80gsm paper. Holder printed to four sides.